The big orchestral-rock fusion band from England, Electric Light Orchestra (ELO) was one of the biggest selling groups of the 70s and 80s. 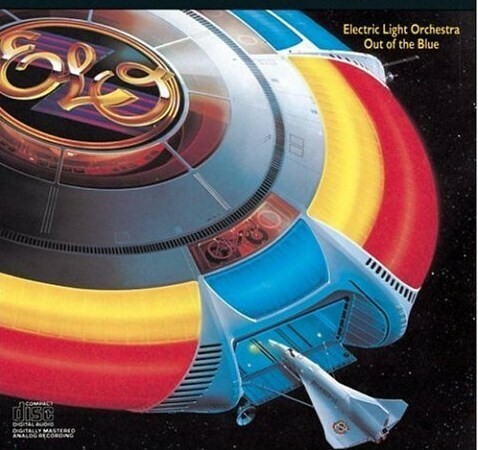 Out of the Blue, ELO’s seventh studio album, was written and produced by Jeff Lynne, ELO’s front man. Released in 1977 this was one of ELO’s most commercially successful albums, being certified as multi-platinum by RIAA. The album’s iconic cover was designed by KOSH using artwork by Shusei Nagaoka.